Hendersonville drivers seeking a crossover SUV should check out the new Honda CR-V. Between its new turbocharged engine, strong safety ratings, and a modern cabin, the latest iteration of the CR-V builds upon a strong legacy of used models. 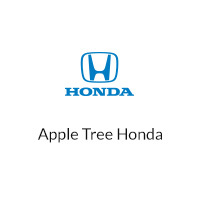 Browse the selection of new Honda CR-V models on sale at Apple Tree Honda, and then visit the dealership in Fletcher to begin the financing process! Learn more about the CR-V by comparing trims like the LX vs. EX at Apple Tree Honda, and compare it to competitors like the Subaru Outback.